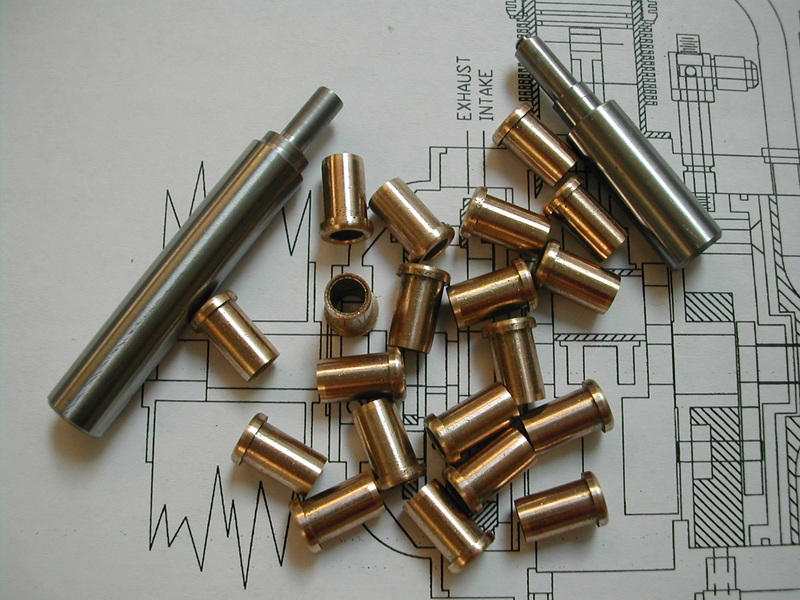 The plans call for regular brass for the tappet bushings, but I decided to use sintered bronze bushings (McMaster-Carr P/N 6391K116) as my starting point. 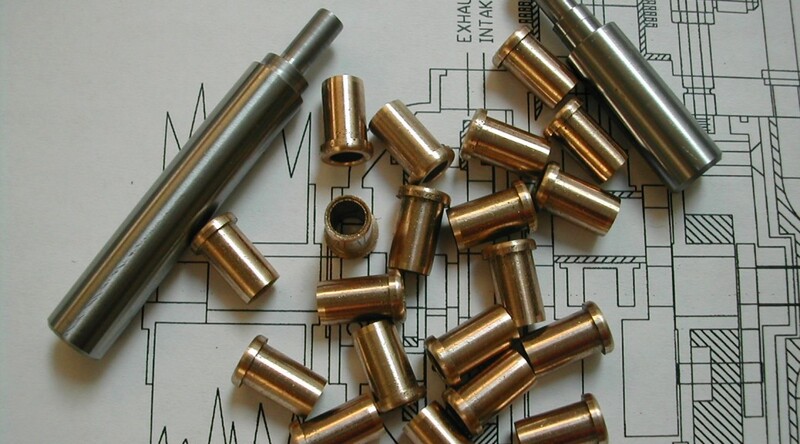 These are 3/16″IDx5/16″ODx1/2″LG SAE841 oil-impregnated, sintered bronze bushings. 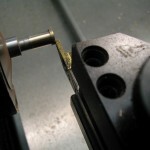 I made an expansion arbor out of a scrap of 3/8″ drill rod. The end was tapped with a #6-32 plug tap to leave 2-3 incomplete threads at the bottom, and then split with a 0.020″ slitting saw in the mill. 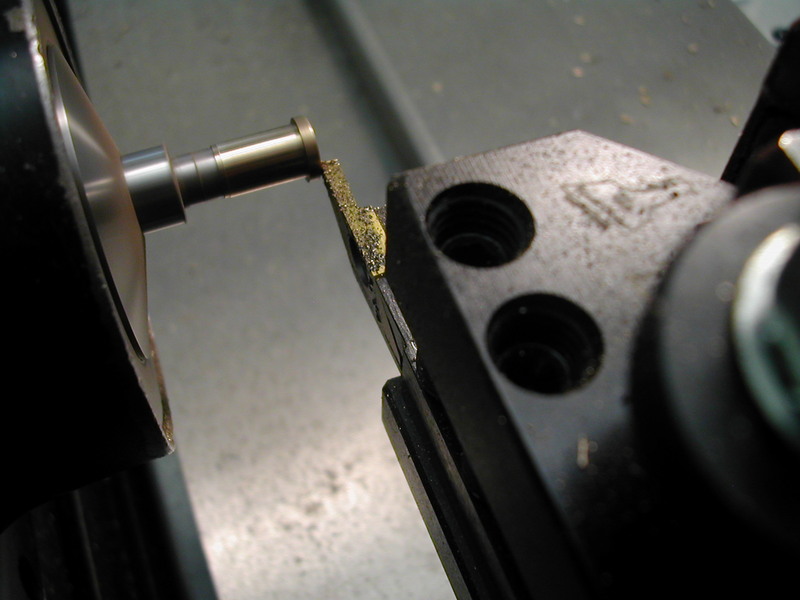 A regular set screw will then expand the arbor when it encounters these incomplete threads. 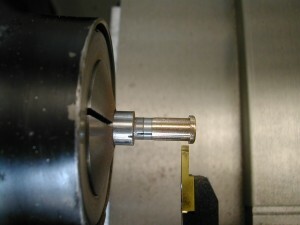 The bushing is first faced to length, and then rough turned with a thin carbide grooving tool. 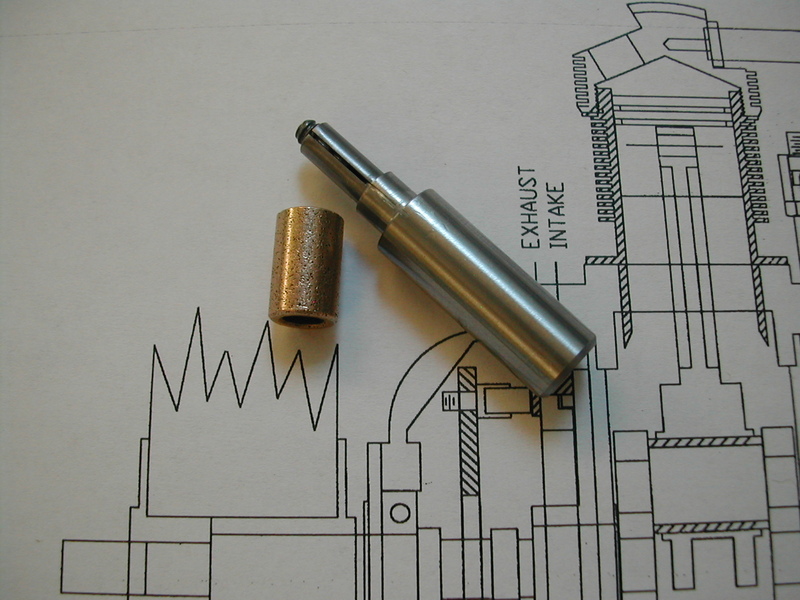 The small step on the left end will be turned into a 10° chamfer for ease of insertion in the crankcase. 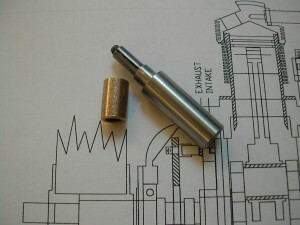 Here is the final profiling operation with the nose radius and 10° chamfer finished. I’m not really crazy about the rough appearance due to the pores in the material, but I think having the tappets running in an oil impregnated bushing outweighs the cosmetic considerations. 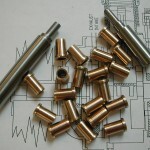 Here are the completed tappets bushings along with a piloted installation tool made from another scrap of 3/8″ drill rod. I’ll run a final ream through the bore after installation in the crankcase.